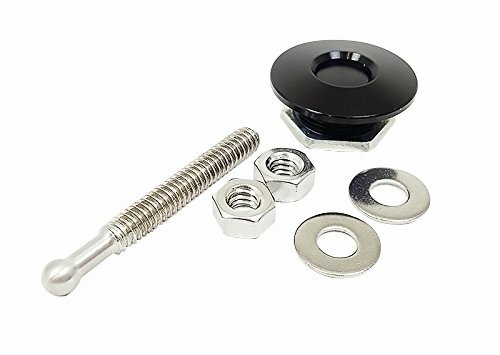 The Quik-Latch patent pending Mini can be used as fasteners on body panels, hoods, deck lids, air cleaners and many other purposes. They are 1.25" in diameter, so they are very compact and clean looking. With just a push of a button, the Quick-Latch Mini is unlatched. The button stays in the down position until re-latched and the button pops back up. Installation is simple with basic hand tools. Hardware included.